May 4, 2018, South Plainfield, New Jersey – Gulton, Inc., pioneer of the thermal printhead, announced the addition of the AM112/SATO 84EX 203 DPI Printhead to its extensive line of compatible thermal printheads. As part of Gulton’s ongoing efforts to meet the requirements of thermal printer users, they aim, each year, to expand their printhead offerings. This year, Gulton has accomplished this by adding the SDP-112-896-AM112/SATO 84EX 203 DPI printhead to their already impressive line of compatible thermal printheads. If you’re a SATO 84EX user, you’ll want to take note as this printhead is now available for up to 50 percent less than its OEM counterpart. 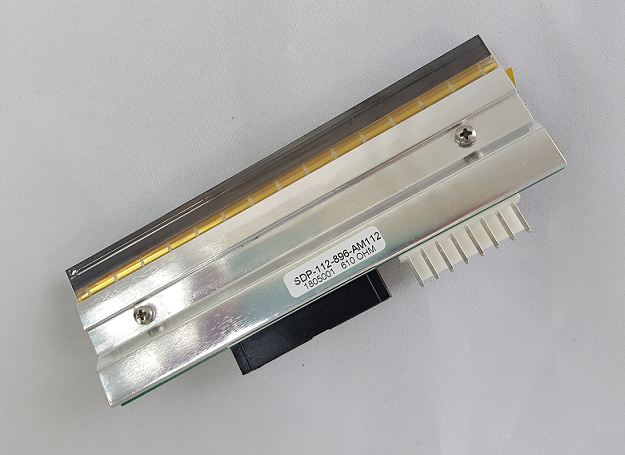 To take a look at the savings your company can achieve purchasing the AM112/SATO 84EX 203 DPI Printhead from Gulton instead of the OEM, visit www.gulton.com. Gulton, Inc. is America’s leading manufacturer of thermal printheads used in a variety of barcode, label and photo printers worldwide. Gulton’s commitment to quality makes their printheads the perfect choice for cost-conscious businesses looking to duplicate OEM print quality without paying OEM prices. Find out what made in America can mean to your printhead purchases. Visit Gulton, Inc. online at www.gulton.com.